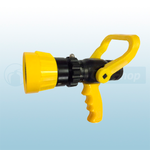 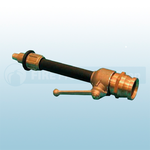 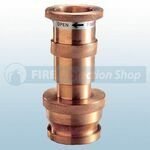 There are many types of branch pipes (nozzles) available, depending on situation and scene of FIRE. 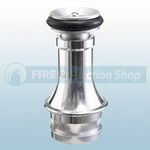 Branchpipes are available in Aluminium and Gunmetal and provide an adjustable nozzle for altering the curtain of water from narrow to wide spray. 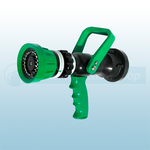 Branchpipes are controlled from shut off through jet, spray and wide-angle curtain by rotating sleeve. 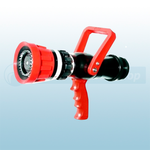 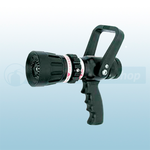 Also available is the attack 100 pro fire nozzle which is designed for 19mm & 22mm high pressure hosereels and are ideal for the following industries: fire & rescue services, defence, oil & gas, marine, major insutrials, aviation, mining and nuclear. 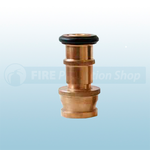 You can also purchase attack flow nozzles in 100, 500 and 750 which are designed for general fire fighting with excellent high rise performance which is 30% lighter than most comparable nozzles.